Brisbane, June 15th 2014 (Alochonaa): As the vast majority of Thai society is Theravada Buddhist, religion in Thailand is undoubtedly instrumental to Thai identity and daily life. Within the religious sphere, Thai women have traditionally been confined to the roles of lay people and Mae Chi (Buddhist nun) in the Thai Buddhist context. Outside of Buddhism, traditionally women are limited by their role as wife and mother. In recent decades there has been an attempt to revive the Bhikkhuni (female monk) ordination within Thai Theravada Buddhism, although vehemently opposed by the Thai Sangha and wider religious community. Firstly this text will identify Buddhism’s religious significance in Thailand. Secondly it will explore the role of the Thai Mae Chi in Thai Theravada Buddhism, their subordinate status in society and their ambiguous religious role, as a foundational context to additionally analyse the Bhikkhuni revolution in Thailand. 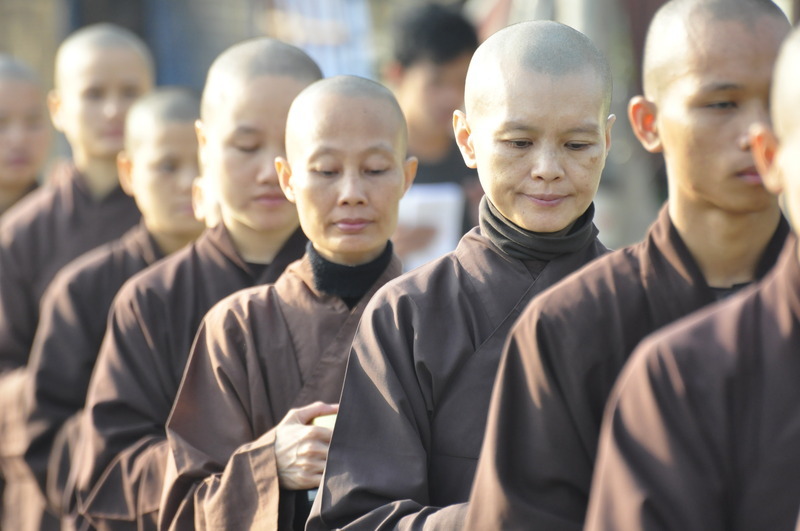 Thirdly, the Bhikkhuni ordination is focused on through the interconnectivity of religion and gender, and evidently illustrates the religious and societal hurdles connected to their cause. Finally this text will argue that the Bhikkhuni movement is a new form of religious feminism, where Thai women are re-negotiating their ascribed gender roles and are resisting the dominant patriarchal system of Thai society and the Sangha. At a broader level we see the Bhikkhuni movement as an attempt to achieve more in-depth societal change in support of gender equality in Thailand. Thai Buddhism; men only – women need not enter? Buddhism has long been considered to be an enormously male dominated spiritual realm, and this is largely due to the physical practice of Buddhism. 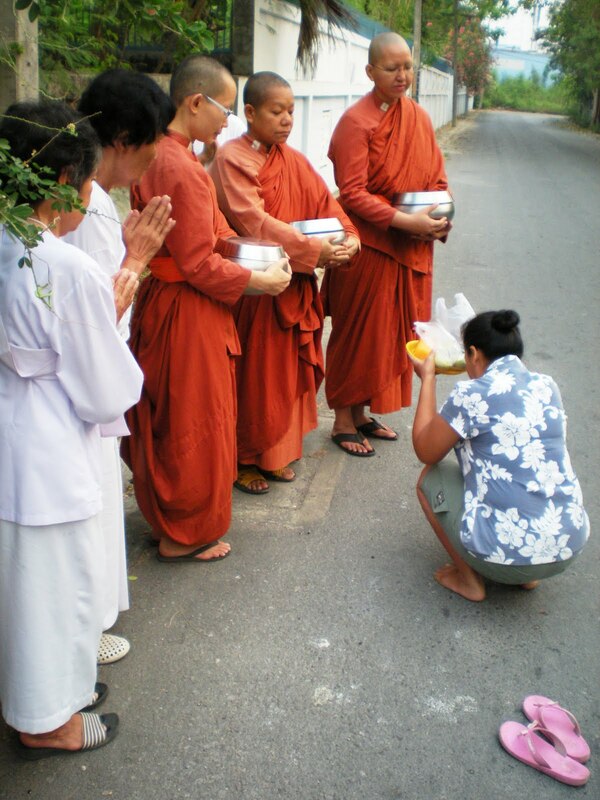 Thai men have the formal right of expression in Buddhist life, most notably seen in the practice of alms giving. They hold the right to receive a full ordination to become monks, to conduct their rituals, as well as to take part in being members of the temple. This is the reality that is also most widely accepted amongst the Thai people. Certainly, as a consequence of the a monks public role, lay people who are members of the Buddhist community view monks as the pure educators of Buddhism, through the means of teaching the Thai way of life. Therefore, it is evident to say that Thai people have regarded, and adored these monks as the spiritual superiors in Thai Buddhism. Therefore it is difficult to dispute that the Bhikkhu (male monk) has long received a valued reputation, and has enjoyed the highest status in Thai Buddhism. Referring to the traditional practice in Thai Theravada Buddhism, if Thai men desire to renounce the worldly entirely to and live in the spiritual life, Bhikkhu will be the only considerable option for them. On the other hand, for Thai women, the process of becoming female monks is still hard to achieve in Thailand; hence, the role of the Mae Chi are often understood as the most viable religious path for Thai women to undertake. The subordinate status of Mae Chi in Thailand is also largely responsible for the absence of the Bhikkhuni order in Thailand. Consequently, a number of women, who denounce worldly existence to live a full monastic life, are confined to the role of Mae Chi. The Bhikkhuni ordination is opposed, and therefore there exists no higher path for devour female Thai Buddhists to take if they wish to dedicate their life to the monastery. For many Thai women who wish to live a fully monastic life, the path to female ordination is difficult. In Thailand many Buddhist women in search of this life often become Mae Chi. Mae Chi are well-known as the biggest group of female Buddhist ascetics in Thai society today . The phrase Mae Chi can be explained by dividing it into two terms. ‘Mae’ is generally defined as relating to mother or woman, and ‘Chi’ is referred to as an ascetic who is commonly dressed in a white rob and presents a shaved head. More widely Mae Chi are referred to as Buddhist nuns. The physical presentation of the Mae Chi symbolises the female devotee’s commitment to the eight precepts of Buddhism. The title of Mae Chi is reserved only for females, as a means to gain entry into the spiritual life of Thai Buddhism Tomalin. However, as a result of both the institutional and societal perception of Mae Chi, they are normally seen as being of inferior status compared to the Bhikkhu. Furthermore, regarding to the religious realm, in terms of a ‘field of merit’ for Mae Chis, it is understood that due to their secondary position, Mae Chi’s are given less religious merit compared to both Bhikkhu and Bhikkhuni. In Thai Buddhism, the visible public roles of those living a monastic life are fundamental in crafting the public’s perception and their value of merit. Mae Chi’s are often seen as housekeepers and cooks, whose role is to look after the monastery for the monks. These responsibilities result in less time of the Mae Chi to cultivate meditation, and consequently there is not enough time to give merit to Thais; unlike the Bhikkhu and the Bhikkhuni. The duties of the Mae Chi is understood as playing as servants to the male monks, rather than directly engaging in any metic gaining activities. Given that Thai women are seen as the ‘caretaker’ of men, it is argued that this is also the same expression of the Mae Chi within the religious field. This implies that women are the most significant facilitator to the Sangha, as they provide meals and housekeeping to the male monks. Thereby, it can be noted that these roles reflect the perspective of Thai women in the sense of the ‘nurturer’ in both societal and religious frameworks. A further point of ambiguity for Mae Chi is their murky status in the Sangha overall. This unclear position is also added by the inconsistent treatment given to Mae Chi’s by Thai institutional structures. The formal position by the Thai state is that Mae Chi’s are not included in the religious realm and have limited rights to that of monks. The unclear position of the Mae Chi is Thai society is furthered by the Thai Government. According to the Ministry of the Interior, the Mae Chi is seen as a ‘skilled ordained’, this is the same status as monks. This means that Mae Chi, like monks, are not able to participate in the voting process, because they have denounced all worldly commitments. Meanwhile, the Department of Religion considers the roles of Mae Chi as non-existent in the religious realm, which means that there is no room for expression of Mae Chi in the context of Thai Buddhism. In other words, Mae Chis are not authorized to receive an education in Thai Buddhism. Moreover, the Ministry of Communications also views Mae Chi as just lay-women. Mae Chi receive no government consessions unlike male monks. These distinct viewpoints contribute to the Mae Chi’s unclear position in Thai society. There is no doubt that the Mae Chi have never gained any privileges which is due Thai Buddhism and the constraints of the religious Sangha. 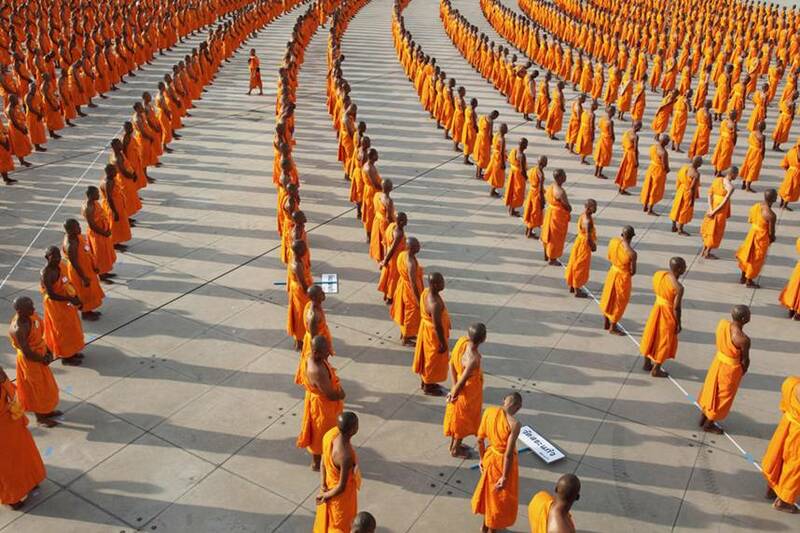 What is Driving the Bhikkhuni Revolution in Thailand – and What did Buddha Say? In analysing the attempt to raise the female status of women in Thai Buddhism, we can see two primary objectives that are sought. Firstly, it is argued that one of the driving motivations is to achieve religious equality. It is no secret that the religious hierarchy in Thailand, or the Sangha, grants significant authority to men. Therefore female ordination of the Bhikkhuni can be considered as an important bridge to close the divide between gender discrimination in Thailand. We can understand he Bhikkhuni revolution as a means to establish ‘women like men’. Much of the controversy surrounding female ordination in Thailand is the unclear history of whether a Bhikkhuni ordination was ever really a strong practice in Thai Theravada Buddhism.This is the official position of the Thai Sangha, who state that the Bhikkhuni cannot be included in the Thai religious sphere, because historically they have never been, and therefore accepting Bhikkhuni’s now would mark a shift away from original Theravada teachings. However, there is strong division in Thai society relating to whether a strong tradition of Bhikkhuni ordination previously existed in Theravada Buddhism. The dominant position held by the Thai Sangha is that the practice of female ordination died out long ago in the Theravada tradition, and therefore there exists no relevance for its revival today. On the contrary, if we refer to the Buddha order, it can be outlined that ‘Buddhism in general and the Buddha in particular were responsible to a large extent for the uplifting [of] women’s status’. It is strongly believed that the status of women could be raised in Buddhism, as the Buddha considered women to be as skilled as men in the context of spiritual practice and attainment. While some supporters cite the true teachings of Buddha through the four pillars of the Sangha, which consist of Bhikkhus, Bhikkhuni, Laymen (Upasaka) and Lay women (Upasika), it does not prevail over the Thai Sangha’s formal position of no female ordination in Thailand. In addition, the ordination procedure for a Bhikkhuni is also cited as a reason to oppose the Bhikkhuni’s revival in Thai Theravada Buddhism. 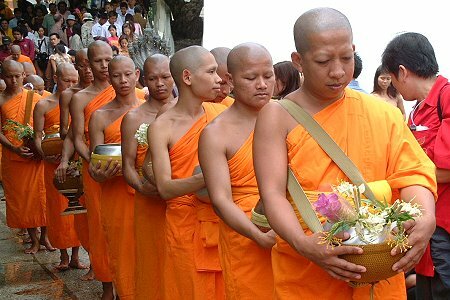 According to the Sangha, in order for the Bhikkhuni to receive a full ordination, the process must be carried out by both Bhikkhu and Bhikkhuni preceptors during the ceremony. More importantly, in order to preform the ordination process, there must be at least five male and five female monks precent. This is another weakness in Theravada Buddhism the Sangha capitalise on. Due to the fact that there is argued to be no historical existence of the Bhikkhuni in Thai Theravada, the female ordination cannot be performed. A second factory driving the Bhikkhuni revival can be explained by the societal gender inequality. The Bhikkhuni ordination is considered as an important step forward to achieveing gender equality in Thai society. Close observers of the movement have argued that the Bhikkhuni movement is seen as a ‘local strategy’ that has an aim to raise the status of Thai women in society. The improved status in society would also see an improved status in religion because in Thailand both realms are inseparable. Regarding to this reason, many scholars have commented that the Bhikkhuni movement is a direct resistance to the Thai society that is mainly based on the dominant patriarchal structure, where men are favoured both in social and religious life. The ‘upasampada’ (the right of ordination by which one takes to Buddhist monastic) is the Buddhist wish that conceives women to be ordained as a Bhikkhuni. This is supposed to be as a means of raising the structural inequality between Thai men and women in society. This argument is further advocated by one Thai scholar, who explains that the Bhikkhuni ordination provides a pivotal option for Thai poor rural girls in terms of avoiding a gloomy future, where little options are available for education, and circumstance usually leads them to an illicit life in the entertainment industry or as cheap garment labour. The positive role of the Bhikkhuni in Thai society can be seen in the example of one Bhikkhuni community encouraging young girls who have been victims of sexual abuse to be ordained . This is a way of giving these victims a new identity in Thai society, one that is not associated with their past. While they will still encounter challenges as a Bhikkhuni, they can escape the life of dishonour and shame inflicted upon them from the wider Thai society. In order to bolster the reason why Bhikkhuni ordination is not accepted in Thailand, it is necessary to draw on gender relations in Thailand, and the patriarchal structure of Thai society. It is not sufficient to argue that the religious structure of Theravada Buddhism itself denies Bhikkhuni ordination in Thailand. The state of Sri Lanka is cited as a useful case study for the restoration of the Bhikkhuni. Sri Lanka is also a majority Theravada Buddhist state, but unlike Thailand, embraces Bhikkhuni ordination, and has done so since 1998. 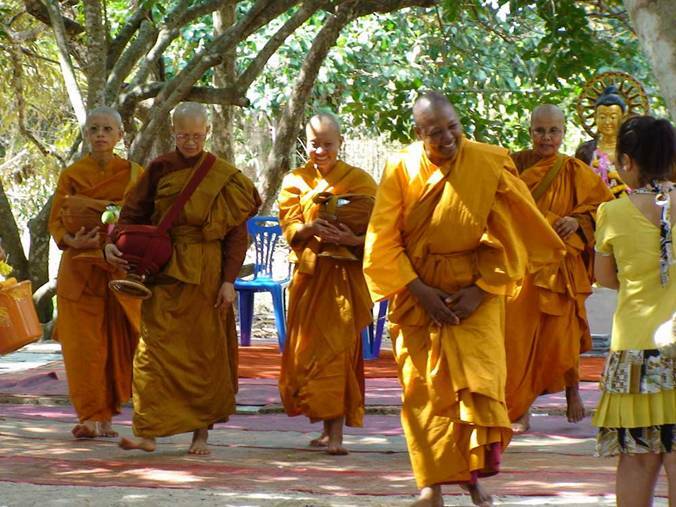 Sri Lanka has developed a positive attitude towards Bhikkhuni ordination. These successful practices have lead to the full acceptance of the Bhikkhuni in Sri Lankan Theravada Buddhist rituals. So far, the official Bhikkhuni Sangha in Sri Lanka has been gradually improving. Moreover Sri Lanka is the only Theravada Buddhist country to have both male and female monks, as the result of dual ordination. Many Thai women often choose to travel to Sri Lanka to be ordained, however, upon return to Thailand their ordination is not recognised by the Thai Sangha. From this dialogue, it is able to observe that society contemplates women as having a restrictive role. Therefore if the provision of female ordination can be possible, the social status of women will be lifted. Hence, it can be briefly concluded that For Thai female Buddhists who want to be Bhikkhuni, they need to receive more social recognition as a means to achieve what they want. This is to say that getting more attention from Thai society in terms of obtaining gender equality, can eventually offer them the acceptance they aspire for in Thai Theravada Buddhism, and formal female ordination can freely emerge. To conclude, this discussion has highlighted the gender inequality present within Theravada Buddhism in Thailand, and the wider Thai society. Through exploring the role of Thai Mae Chi, the subordinate status of women in Thai Buddhism was evident. While not all female Thai Buddhists pursue a monastic life, likewise, not all Mae Chi desire to be ordained as a Bhikkhuni, these cases do illustrate the subordinate role of Thai women compared to their male counterparts. The inferior status assigned to Mae Chi reveals the further religious and societal barriers inflicted on the Bhikkhuni. 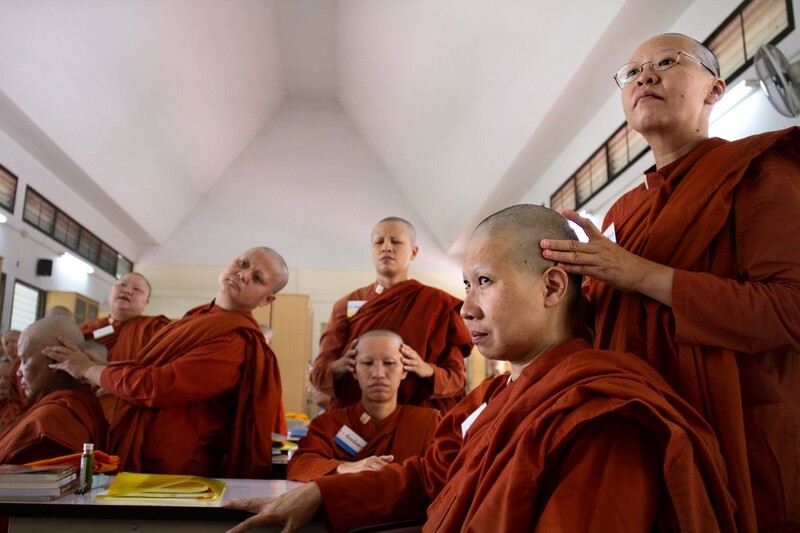 The Bhikkhuni movement is a direct resistance to the Thai Sangha and Thai patriarchal society, who are challenging female ordination and the re-structuring of gender roles in Thailand. Thailand is undergoing a slow societal change, where women are now resisting their traditional roles of wife and mother. At the core of the Bhikkhuni revival is the conscious stride to reach the same societal respect as men, and because religion in Thailand is so intricately interwoven with everyday societal practice, religious acceptance guarantees societal acceptance. 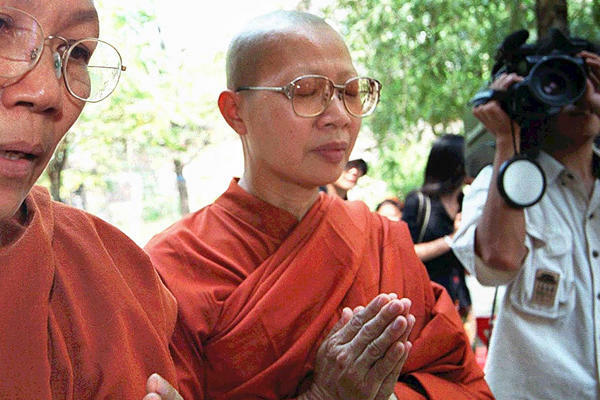 The Bhikkhuni movement is used as a tool to leverage women in society, firstly granting religious acceptance, and consequently greater gender recognition in Thai society. Hence, the Bhikkhuni movement is considered as a new form of religious feminism in Thailand. *Tanaporn Pichitsakulchai is a Thai international student in her final semester at Griffith University, Australia. Tanaporn is currently completing a Master of Asian Studies. This text is a ‘blog’ version of an academic essay submitted earlier towards completion of Tanaporn’s academic program.